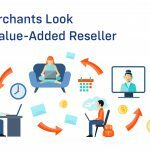 With competition becoming fierce, it poses immense challenges regarding how to start reseller business. It doesn’t help that market conditions have become more dynamic than ever and technology changes rapidly. Let’s take a look at the new business challenges that exist in VAR industries and how it can be converted into reseller business opportunities. Every B2B business faces the issue of acquiring new customers. Today, customers have several choices of products and services and prefer the companies which offer them the best deal. A lack of an effective marketing strategy is the primary reason for not being able to attract new customers. Gaining customer loyalty is no mean feat. The moment customers get better offers and discounts somewhere else, they switch over without wasting any time. IT resellers need to figure out how to engage the existing clients in a way that their relationship is long-term and sustainable. It is impossible to exist without digital visibility. Today, customers first search business on the internet, look at the website or social media handles and then put their trust. If a business already owns a website, publishes blogs/e-books/white papers or posts content on social media, it is not useful and relevant to customers. IT resellers spend too much time managing operations such as sales quoting, accounting & finance, procurement, marketing etc. This takes away their focus from their core business of selling. A majority of IT resellers are not cloud-ready. A number of cloud solutions have emerged which are making buying easier and quicker for customers. Cloud enables customers to minimize risks, reduce costs and maximize performance. So, if they don’t get cloud services from their IT reseller, they will obviously go to someone else. If the sales representative are not recruited for the right fit, lack proper training or are overburdened with work; it could affect their performance. Needless to say, poor performance leads to non-achievement of the target revenue. There is an increasing focus from CAPEX to OPEX expenditures related to IT in the companies. Capital expenditures are becoming passé because they require a huge amount of cash and it is difficult to estimate future capacity. Moreover, business scenarios are becoming very dynamic, requiring an agile approach to expenditures. OPEX expenditure enables companies to pay only for the current capacity and then scale it as the business needs demand. The capital can be freed up for other business purposes. IT resellers who are still selling CAPEX solutions can fall behind their competitors. Use competitor-analysis to find out what they are doing right. 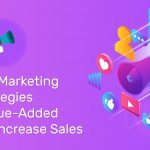 Formulate a robust marketing strategy around the unique selling points of your business so that customers can find more value in your products and services as compared to your competitors. Develop a customer loyalty plan. Keep track of their buying pattern and product usage and target them with special offers. Reward your most loyal and profitable customers by offering them personalized and exclusive incentives. Create a website and open social media accounts if you don’t have one as soon as possible. Even one day’s delay can make you lose customers and revenues. If you already have a social media presence, create an effective digital marketing strategy plan with all necessary elements such as SEO, targeted ads, landing pages, responsive website, etc. Automate and integrate the business processes using CRM tools and applications. This will enable you to streamline all operations and eliminate the manual hours and errors. The time saved can be effectively utilized to develop revenue increase and customer relationship strategies. It is still not too late to adopt a cloud strategy. It is one of the most lucrative software reseller business opportunities to differentiate your brand in the crowded market. Identify your niche and focus on your key verticals through the cloud. Hire only those candidates who are the right fit. As soon as you get them on board, lead them through the vision and goals of the company during the training. Equip them with all necessary knowledge, tools and techniques to achieve their targets. Implement quoting software and CRM tools to reduce their workload. There is a tremendous opportunity in shifting to OPEX solutions. It is one of the best revenue models you can deploy. The above-mentioned types of business opportunities can get you a strong foothold in the market.